In today's episode of Pricing Page Teardown, Patrick and Peter set the stage for a clash of cineplex titans: AMC and MoviePass. With its offering of unlimited movies, MoviePass has attracted so many customers that they're starting to crumble under the weight of their own volume play. AMC, on the other hand, waited until they knew the market was successful before starting their own version of the service: the AMC Stubs A-List. Grab some popcorn and take your seat as we dig into the data and see which of these two titans will actually make it to the end credits. In a classic Silicon Valley story, MoviePass started their business by going after the bottom. Offering unlimited movies for just $9.95 a month is a serious volume play, and their expenses quickly ballooned to over $21 million a month. 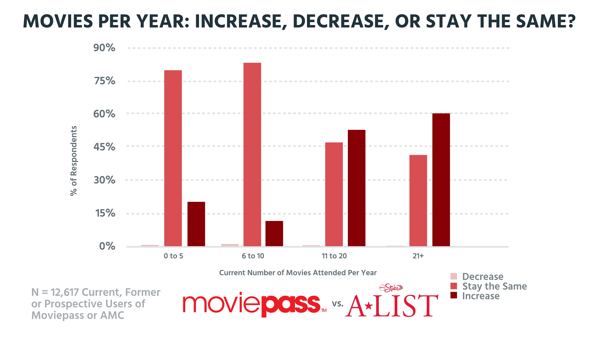 By not spending the time to learn from their customers, and by failing to seriously consider how their cost structure would scale as the business grew, MoviePass has put themselves in a somewhat dire situation. They'll seriously need to consider adjusting their pricing structure to be successful moving forward. 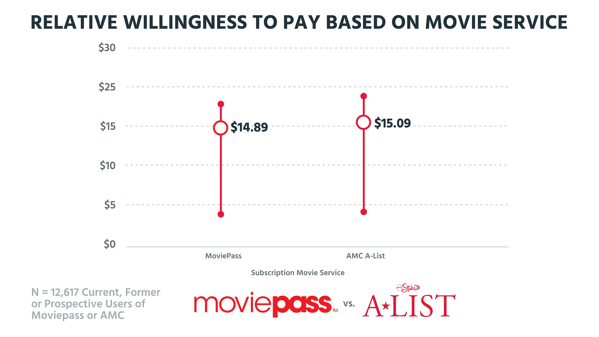 Taking a look at the relative willingness to pay for each company, it's easy to see that MoviePass has positioned themselves to go for more of a volume play than AMC. 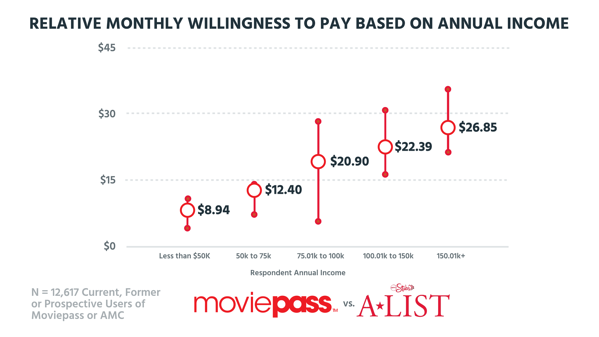 The median willingness to pay, based on our algorithms, puts MoviePass at $14.89, which is about 50% higher than their actual price. What's interesting is how similar these two services are when comparing on this metric. 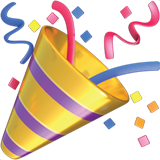 Willingness to pay for each flexes between approximately $5 and $20 per month, and almost up to $25 for AMC. Where MoviePass is definitely going after the volume play, AMC is priced higher than the median, at $20 a month for three movies per week. One of the ways MoviePass is looking to monetize their product is through partnerships with complementary services. They want to bundle together a Lyft ride, dinner, and maybe even drinks after the movie to try to upsell their customers over the existing $9.95-a-month price. We surveyed a total of 12,617 current, former, and prospective users of each service, and when you take a look at the relative willingness to pay for a night out, it tells an interesting story. 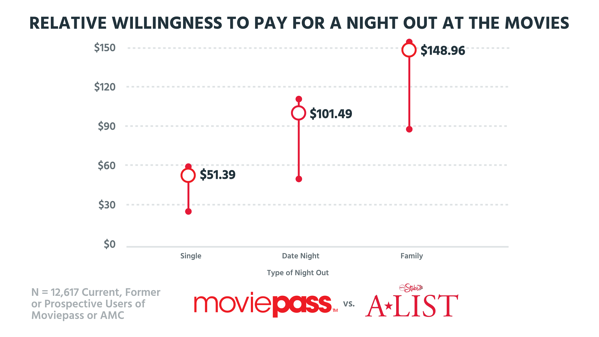 For a single person, their willingness to pay is $51.39 and almost doubles to $101.49 once the night turns into a date. It makes sense that someone going out alone would want to keep costs low, while one going on a date is looking to impress. A family night out is a much bigger excursion, and we see another jump to $148.96, which is much higher than the willingness to pay we saw based on movie service. The issue here is that each company involved in the “night out” is going to take their cut, which has a negative compounding effect on the margin that MoviePass is hoping to get by bundling these services together. That, coupled with the fact that MoviePass's price is the same across the United States, means their goal of additional revenue from this idea more or less falls flat. MoviePass is also hoping that their pricing will help get more butts in seats over time and potentially change the movie-seeing habits of their customers. Of the 12,617 current, former, and prospective users we surveyed, that doesn't really pan out for them, either. For people who went to fewer than 10 movies last year, their habits are almost certainly going to stay the same. The only people likely to increase the number of movies they see are the cinephiles who are already seeing 11 or more movies in a given year. And while that increase is what MoviePass was hoping for, it's not a significant enough amount of people to bypass the issues with their current pricing strategy. When MoviePass first came around, there wasn't another company that was providing the same kind of service. Once their company started to grow, theater companies like AMC started to implement their own plans. The AMC Stubs A-List starts at $20 a month and lets the customer see three movies per week on that plan. One significant difference between A-List and MoviePass is that AMC lets their customers see any kind of movie, including IMAX and 3D, which do cost more in MoviePass. AMC is also going to be showing these movies anyway, so the A-List customers they attract are looking for certain perks on top of the regular movie-watching experience. Things like Priority Line access and the ability to schedule a month's worth of movies ahead of time are just a few of the perks that AMC is providing to their customers. When we look at feature differentiation, there really isn't anything that's breaking the 30% to 50% mark that we want to see under Differentiable Features. While Kid-Free Showings does rank higher in the Add-Ons section, it won't really soften the blow of a $15- or $20-a-month tier. AMC is right in line with the Core Features, offering Priority Lines and a Loyalty Progam as a part of the A-List. Where MoviePass adds some dynamic pricing for IMAX Showings and 3D, AMC offers those movies as a part of their base package, so it doesn't really help MoviePass justify the 10% to 15% bump we see above. 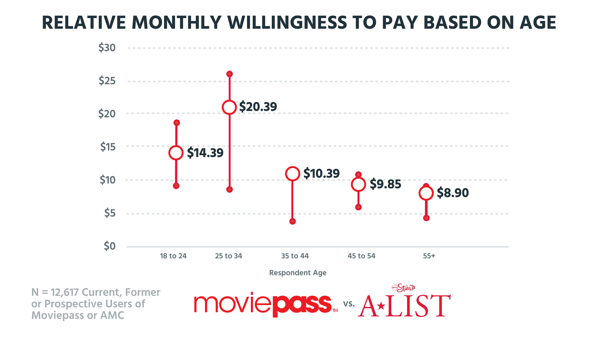 Because both MoviePass and AMC are playing in pretty much the same area when it comes to feature differentiation, we also took a look at how some other demographics affected the willingness to pay. We found some interesting things related to age and income. For the 18-to-24 range, the willingness to pay is spot on for what we saw earlier for each separate company. The low end starts at just about $10 and flexes up to almost $20. That range gets even larger when you move up to the 25-to-34 tier. They're willingness to pay averages $20.39 but could be as high as $25. What's really interesting is what happens once we get to people in the 35+ bracket, where we see the average willingness to pay topping at $10.49 and dropping as the age increases. While when customer age increases the willingness to pay decreases we see that as their income increases the willingness to pay does as well. When a customer is making less than $50K or between $50K and $75K, the relative willingness to pay is in a small window and averages $8.94 and $12.40, respectively. We see a shift in the ranges once the customer starts making more than $75.01K a year, where willingness to pay flexes between around $5 and up to $30. It creeps up even more in the over $100.01K range and could potentially be more than $30 for some. 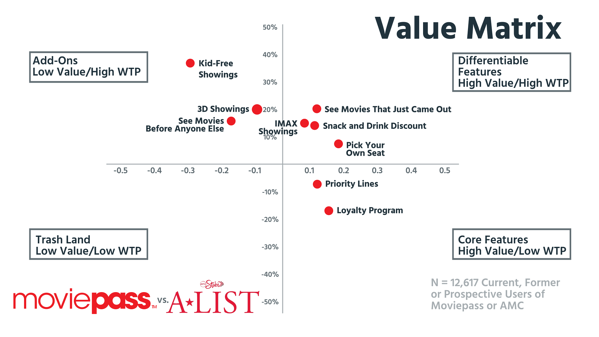 Taking a look at these charts, you can see that AMC has set themselves up to be more successful than MoviePass in the long run. This is due in part to the fact that they waited on jumping into the market until they were 100% sure it would be successful, and they planned their pricing in such a way that they could scale effectively without running into the same kind of issues that MoviePass has faced with their unlimited-movie volume play. Who would you take to the movies? With MoviePass struggling to remain prosperous under the weight of their own unlimited plans, AMC has a big opportunity to be successful with their A-List offering. Patrick, a previous MoviePass customer, is going to switch to AMC. The perks of Priority Line access outweigh the ability to see as many movies as possible as well, and Peter agrees. As an investor, Peter would shy away from MoviePass, but Patrick would still go for it. At $0.30 a share, it can't hurt to make a volume play of his own. That said, both Patrick and Peter would invest in AMC. 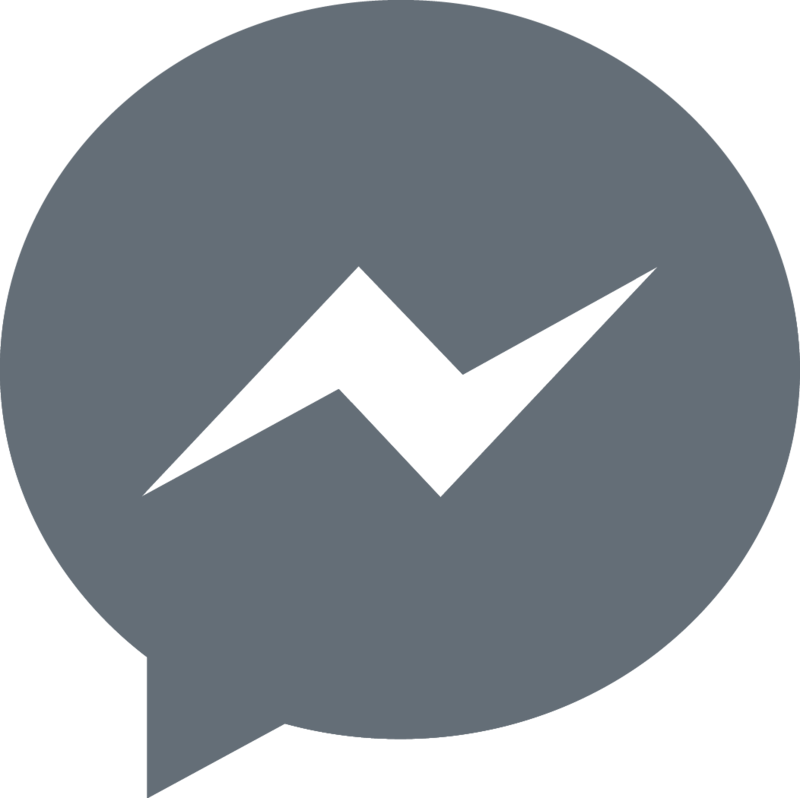 They've done a really job of positioning themselves to be of value to customers in a growing marketing.